Just saw Lady Bird. Disappointed. Can someone make a case to justify all the fanfare? Sandra J. Bierman Exactly. I loved it. And the acting is superb. Roxanne Jones Could you expand on why you thought it was disappointing? I would usually run to see a movie like this but I'm so done with coming-of-age stories at this point. How does this "disaffected white teen grows up" movie differ from the countless others? David Troia Thank you for summing up what I'm feeling about this film as well. While I'm drawn to this movie based on all the positive press, coming-of-age stories rarely seem to reflect any sort of relatable experience that bonds me to the work. Melissa Pilar I'm tired of them, too. Give me some gritty adult stuff to match this world these days. Aria Chiodo It's more than simply a coming-of-age story-- the mother-daughter relationship is a core aspect of the story. Pamela Meek When I saw it, images of my relationship with my mother came flashing through along with my relationship with my daughter along with my sense of self. 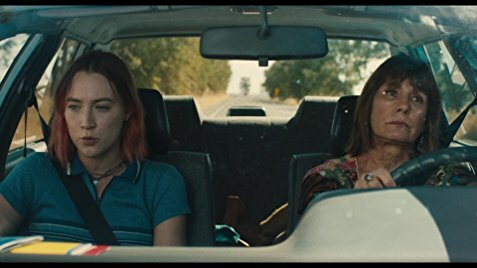 To me Lady Bird is finally a movie from the female’s point of view at all ages. I think it is a masterpiece. I’m sick to death of movies by, for and about men. Katie Kasten Matthies I agree with you, Barbara. I was disappointed and wondered, what did others see in it that I missed?? Elizabeth Lloyd-Kimbrel Laurie Metcalf deserves an Oscar nomination at the very least. Jennifer Strasbaugh Ortiz Agreed! She is a brilliant actor! Elizabeth Lloyd-Kimbrel And Tracy Letts elevates an underwritten part. Judy Mam I’ll see anything with Tracy Letts in it. Erik B. Anderson I have no idea why it's so beloved. Everything that happened was just miserable. It felt like a very accurate coming of age story, but accurate as to how miserable it all was. Aaron Heinsman For me that was the point. Authentic, emotional, yet not at all sentimental. Erik B. Anderson Did you see the sentimental letters the mother wrote in the end? That was the sentimental deus ex machina that never exists in real life. Aaron Heinsman I didn't feel that way. To me, sentimental would've been making it in time to see her in the terminal. Erik B. Anderson What's not sentimental about calling your mother? Aaron Heinsman Perhaps to a point. Depends on perspective. To me calling is fine. Sentimental is having the cathartic conversation. Patrick McEvoy-Halston Which mother-daughter dynamic, for there's two in the film. Lady Bird's mother's mother was an abusive alcoholic who wasn't just a pain in the neck but intended her daughter harm. This gets morphed a generation later into a mother who may be neurotic and fearful but whose love of her daughter cannot be questioned. Or is this the dynamic? Displace truly unacceptable terrible truths far away, while keeping more acceptable and more minor ones up close, done in a fashion so you give the appearance of no-holds-barred reveal?... is this a consciously acceptable vs. unconscious full knowledge dynamic? Is that the norm? Erik B. Anderson How so? Jordan Musheno Erik B. Anderson Laurie Metcalfe is complaining about spending 3$ on a magazine and then something equally ridiculous in every scene that follows, but still sends her kid to private school, her son to Berkeley, her daughter to NYC eventually and they have a damn financial advisor. I think it’s a very good movie but everytime they bring up finances I rolled my eyes because this is clearly from the perspective of someone who knows nothing about struggling financially. And I’m saying this well aware that the husband was laid off. Joe Procopio Actually, Jordan, you're mistaken. This was a good reflection of my family's circumstances growing up. Very much a lower-middle-class family perpetually teetering on the edge of not being able to make ends meet. I went to "private" school (i.e., catholic schools) because my parents worked out a "barter" via volunteering in order to get a tuition reduction, and we received some financial assistance from our local parish. Yet our total family income in those years (mid-1980s) was less than 20K. Every expenditure, big or small, was a struggle and a tradeoff, and like many families, we dealt with second mortgages, health crises, layoffs, etc. Were we living in poverty...no, but for years we were one misfortune away from it. Jordan Musheno Well, if your family’s income was 20k a year, you’d use half of it on tuition for one year of private school. Jordan Musheno There’s nothing about bartering or volunteering. This doesn’t even include the cost of Berkeley, rent and tuition in NYC and many other things. Joe Procopio It's a movie, Jordan, it doesn't have to provide you with every detail of their budget for it to have a feeling of veracity. But, hey, I lived through a very similar experience...if the movie doesn't work for you, so be it. Jordan Musheno They acted like they lived in the damn ghetto in this movie. Delusional. Joe Procopio I think the economics were brought up so many times because it was one way the movie wanted to underscore the tension between the daughter and her mother. The mother, as the sole breadwiiner at one point in the movie, was hyper-concerned about the financial stability of the family while the daughter was a bit too oblivious to it. It was just another way to show how disconnected they were from one another. I do not believe the intent was to garner sympathy from the audience. Jordan Musheno Joe Procopio I think that’s an interesting perspective that I can get behind. I just struggled with the aspect because it seemed so out of touch with reality. Like you’re arguing, it makes sense thematically, it just rings unfortunately false to me. Joe Procopio I get it...we all have certain things in movies that do and don't resonate for us. I've certainly been the guy who has found things irritating in a movie that everybody else seems fine with. Erik B. Anderson How can we argue with your experience of having an ignorant reaction to someone else's experience? Jordan Musheno Erik B. Anderson what? Erik B. Anderson Jordan Musheno your comment is your opinion, and it's based on your perceptions, the way it rang to you, that you couldn't be bothered. It's a tautology. We are the ignorant ones really, because you're just not saying anything at all. Kate Hickson They live in CA. Berkeley is a state school. Patrick McEvoy-Halston ... it's going to be tight, but we'll scrape the money together somehow. (Thanks dad!) Imagine, my daughter/son... going to Columbia/Harvard! = Brad's Status. This is a relevant point because right now every well-off liberal in the U.S. is desperately trying to convince themselves they're actually... when you put things in context, really not prospering. This may be present anxiety projected back into a past scenario. It doesn't do to make yourself the one who actually had it easy. That has to be someone else. Sara Schearer I think the money part was very realistic. They talked about the scholarship for catholic school and about making choices with money. The mom was a nurse - not destitute but still not enough to give her kids everything they wanted. That is about as realistic as it comes! Patricia Boesen I might be in the minority here but I loved it! The mother-daughter dynamic during the teenage years is portrayed quite realistically and the acting was superb. Hugo Z Hackenbush Haven't seen the bastared. Shawn Drury I'll be the curmudgeon -- I don't think it's a great feat for a 22-year-old (Saoirse Ronan's actual age) to play a teenager. I felt the same about An Education, which had Carey Mulligan doing the same. This is even truer for guys acting younger; too many of those movies to list--for some reason, Tom Cruise in All the Right Moves comes to mind. I like Ronan (and Mulligan for that matter) but I don't get the fuss either. Patrick McEvoy-Halston I walked out. Didn't hate it; just sensed a huge dosage of glossing. John Wood Walking out robs a film of its deserved ending and a chance to win you over. Akin to leaving mid conversation. Patrick McEvoy-Halston John Wood or inflicts you with more damage than you can bear. one or the other. Patrick McEvoy-Halston Stephanie Dahl I ended up seeing the whole thing (which I suspected would prove the case). My reaction is that I thought it middling... see what you'll do with that. Elizabeth Lloyd-Kimbrel Part of the "belovedness" is for Greta Gerwig whose directing debut this is, and a very assured debut it is (whether you like the film or not). Ken Eisner In other words, you haven't seen this. Marta Nazario The same thing happened to me with the movie Moonlight. I actually walked out. Still wrapping my head around the nomination. Not all movies are for all people....like someone pointed out. Charles Dye Nomination? You mean winning Best Picture right? Charles Dye But yeah... I felt similar about it. Corin Toporas Charles, Marta walked out the Oscars ceremony as well. Chris Okum It was fine. A nice, sweet movie. The movie I just watched and which I don't get any of the hype is freaking Baby Driver. Ugh. Donna Staub Just saw it today as well. I enjoyed it. It's a quiet little film -- but it has been over-marketed and over-hyped, and as such, I was expecting more. Had I walked into an indie film house and watched it, I would have loved it more, and I would have contemplated its subtleties. Instead, I've been pondering what I missed that the ads had hyped. Maurice Yacowar Here's my blog: The first shot packs the story. Mother and daughter sleep together in matching profiles. They face and reflect each other. The serenity of the shot catches their essential bond, which their respective prickliness does its best to fray in their waking hours. Lying there, they look alike. As the father later explains, both women have such strong personalities that their clashing is natural — but their underlying love remains. Both women move through trying times with men. Mother Marion works double shifts as a psych nurse. She has to guide the grief-stricken priest who was apparently not saved by directing his school production of Merrily We Roll Along. His “They didn’t get it” suggests the rollicking audience missed the depressing undercurrents to which he is attuned. His successor is made of sterner stuff: directing The Tempest with the blackboard strategies of his football coaching. At home Marion has to deal with husband Larry’s long battle with depression and his loss of his job. This while dealing with emotional teen Christine and adopted older son Miguel with his live-in girlfriend. The latter explicitly confirms our sense of Marion’s “big heart,” as Christine ultimately realizes. Christine grows through three boyfriends. The first turns out gay, the second an insensitive pretentious creep and her third — entering NYC — with their first kiss prompts her drunken puke. In consoling her gay friend she shows her mother’s heart. She also briefly abandons her closest girl friend in vain hope of befriending the class’s wealthy, snobbish beauty. As Christine grows through her tribulations Marion barely survives them. The film closes on three notes of reconciliation. The solace she finds when she drops in on a Sunday service prompts her second reconciliation. On the long distance phone Christine tells her mother “Thanks” and “I love you.” That’s realizing the tacit harmony we saw in the first shot. Their unity is also the point of intercutting shots of mother and daughter driving through Sacramento. Equally important, Christine accepts herself — finally going by her given name Christine instead of yet again insisting on the “Lady Bird” with which has all along tried to romanticize herself. The daughter's and mother's closing harmony ends the film like the last line we hear from the audio-book Grapes of Wrath: Having survived adversity the true power, the woman, smiles. Catherine Craig Gerwig describes her own high school self not as a free spirit but as a student who sought gold stars. My sense is that she spent too much time over-thinking the film and that kept it from taking on a life of its own. I do agree with the comment that Saoirse Ronan at age 22 feels too old for the part. I loved the opening scene. What a way to open a movie. Laurie Metcalf as the mother is amazing, however her character’s behavior at the end did not have sufficient motivation for me. It could have, but it wasn’t written in there. So much about her was explained to us by her husband, not given to Metcalf to dish out. I do wish Gerwig would challenge herself with something other than characters coming of age. Gerwig is a lovely, bright entertainer who interviews well and I am sure this contributes to some of the attention people are commenting on. I hope she continues on into the future. Ken Eisner It didn't take on a life of its own—and that's why it's the best-reviewed movie of the year? Catherine Craig Ken Eisner, this comment from Barbara was the start of the thread. "Just saw Lady Bird. Disappointed. Can someone make a case to justify all the fanfare?" She was basically wondering why it has been so well reviewed. And if it is actually the best reviewed film of the year as you say, I wonder how long it will retain that lead in light of upcoming releases. That said, I am happy Gerwig is getting attention. Ken Eisner It's still better than the newer releases. I've seen everything but Phantom Thread, The Post, and The Shape of Water. But catching those this week. Faces Places was another top-fiver. Catherine Craig I haven't allowed myself to fervently look forward to a film being released in a very long time. I am self consciously allowing myself to relapse into that kind of extectant stupor regarding The Post. I am hungry for anything about Katharine Graham. Good to know about Faces Places. I have a personal loyalty to Del Torro so I will see The Shape of Water and will also see Phantom Thread. Ken Eisner Downsizing was fairly good, but I, Tonya was a very happy surprise. Susan Coan I really loved this movie and found it to be a complex portrayal of a family "coming of age." I agree the core was the mother/daughter relationship but I feel it also did a wonderful job showing the changing career climate and the effect it had on the dad especially when his son got the job he had applied for. Lady Bird was at the private school with a scholarship and mom worked double shifts to pay for it. I think it was a very real representation of the changes that occur in the lives of a family. That being said, I also don't believe everyone will like every movie and every movie certainly has it's weak spots. Elizabeth Lloyd-Kimbrel Personally, I really enjoyed the Sondheim subtext and the two very different theater-director priests and their individual enthusiasms. Patricia Naruse I did like this film for 95% of it. It felt real, and I do love Laurie Metcalf as an actor. I did not like how the NY portion was presented. It seemed to be sort of an epilogue ultimately, the NY part; she gets wasted, goes to hospital, then realizes she missed home. But, all that happens in the last 5 minutes of an otherwise well-paced story. Adam Capitanio That's nice. Sometimes you'll dislike a movie that a lot of people like, and sometimes you'll like a movie that a lot of people dislike. Erik B. Anderson I guess we'll have to agree to disagree about that, mate. Diane Lake Great and realistic coming-of-age movie - I didn't see any weak spots at all. Bonnie Brook I didn't see any strong spots. Neither mother nor daughter were terribly likable. This movie really annoyed me. Erik B. Anderson I gave it a negative review on Instagram. For some reason, the official Paul Haggis page liked my review. Erik B. Anderson Another reason I don't like it is that Lady Bird lost her virginity the day after my father died. Barbara Monahan Just one idea that she might shop around for an inspired editor and cinematographer to collaborate with. Found the film weak in those departments. Patrick McEvoy-Halston The dad is supposed to be depressed, yet the movie has him as entirely reliable as a protector, even if in wise, subtle, considerate and artful form. Depression means being the exact kind of dad this kind of female-limelight family requires? He too should be bottled and sold in pharmacies. Her boyfriend is cheating on her but it turns out he's gay so it's on her to support. Being gay should be bottled and sold in pharmacies so that heterosexual men can unbottle it and use in emergencies to escape wrath. Women should support this movement because it would direct attention away from the fact that just previously they were already developing interest in someone who wasn't so theatrical and gratuitous but instead couth and composed. Daughter's mother's mother was an abusive alcoholic, but daughter's mother is completely benign; the extent of her love is unquestionable, even if she suffers separation-anxiety. Daughter's mother should be liquified into a solution sold in pharmacies, so that all hate in the world drops away... like that *snap*. One generation afterwards, and horrible abusive alcoholic troll demon alt-right hate hate hate... all gone in the world. Catholic head-of-schools who happen to be nuns should be liquified and sold in pharmacies for every male priest in the world to intake. Then they'll be hip as sh*t and know what it is to swoon (and not over youngins in their care). Being recoursed to schools which teach you that you begin as dust and end as dust should be bottled and sold in pharmacies. Because then all of us could make intellectual mincemeat of a pro-lifer who rejoiced in her own not being aborted, and have it an empowering moment that proves that however the case, still, some people are made of surer dust than others. Susan Smart I feel like the characters were very flawed and REAL. The hot/cold mother daughter relationship was spot on. Also real, the father's situational depression looks all too familiar to me. I know Ronan has gotten criticism for looking too old, but at the same time she seems like an old soul. I think Hedges looks too old also, even though he's only 20. I love the fact that Metcalfe and Letts, original Steppenwolf members, were in this film. I think it captures that adolescent desire to get out and be somebody. Catherine Craig I was one of the people who agreed with the person who commented that Ronan was 22. For me, it wasn’t that she looked too old. It is something else. I did just see a brilliant performance by a 21 year old playing a 17 year old; Austin Abrams in Brad’s Status. For me, he alone is worth the price of admission. Dead on perfect. Patrick McEvoy-Halston There's a line in the film where where the father asks her when he knocks on her bedroom door, "how did you know it was me?, and she replied, "mom never knocks; she just comes right in." The film, though, doesn't encourage any involvement in what this might mean. It's mostly normalized -- mother-daughter dynamic stuff. A lot of this film felt like a sort of glossing over past-experience that I thought we were supposed to have been woken out of doing. Erik B. Anderson You're saying everything I am thinking. Like when the mother says her mother was a vioent, abusive alcoholic. It's never alluded to again. Exposition dependency like this is for bad screenplays, not potential Oscar frontrunners. Blake Malcolm Hallberg a good screenplay doesn’t have to hold our hands and Tell us everything; a good one allows room to infer. the dialogue you’re referring to speaks volumes about the entire dynamic between the mother + daughter. the fact that she doesn’t knock and barges in tells us so much more than just that. it tells us that the mother doesn’t respect privacy, could be a bit invasive, etc. while this dialogue also shows us the dynamic between father + daughter. a good screenplay “shows” rather than “tells” and it’s up to the audience to pick up these cues. it’s a relationship between the audience and art. Patrick McEvoy-Halston Blake Malcolm Hallberg "Doesn't respect privacy... can be a bit invasive," is readily summarized/normalized as to be expected; as typical mother-daughter... hot and cold behaviour. But doing so means sustaining a sort of cultural acceptance of it which makes children who are enduring significant harm owing to it (a mother will barge into your room as if you have no actual barrier to her she can't feel free to disregard, even as you're 17, and she does it every time? That's pathological; a move clearly intended to make someone feel their autonomous identity is something of a joke, and that you're really only just a component of her. It's child abuse.) feel like there's no point in speaking out about it because people will conflate it as pretty much normal... and really only a bit invasive -- so why your overexagerated complaint? In certain quarters now, what had been normalized is being revealed as actually very harmful, as we situate ourselves fully within the abused person's situation, really for the first time. Where are we if we just switch it up so it's not predatory men involved, and suddenly the problem would once again be in the person who made the erroneous complaint? It's just moms being moms, daughters being daughters, for heaven's sake! Sheesh! Blake Malcolm Hallberg Erik B. Anderson the skilled screenwriter portrays exposition without blatantly saying it. have you ever seen an action movie where the protagonist basically explains everything that’s happening? those are poorly written screenplays. Erik B. Anderson Blake Malcolm Hallberg yes, Lady Bird is just like an action movie that explains everything that happens. You've read my mind. Blake Malcolm Hallberg Patrick McEvoy-Halston i don’t think ladybird seeks to normalize this behavior. if anything, it’s portraying the absolute damage of the relationship. i grew up with a mother exactly like the one portrayed in the film and i didn’t think it sought to “accept” the mother’s behavior. ladybird went back and forth between hating her mother and trying to empathize with her. this was the portrait of a very unhealthy mother-daughter relationship. Blake Malcolm Hallberg Erik B. Anderson 1. it isn’t an action movie and exposition is being portrayed via dialogue, rather than random ad-libs. 2. my initial point was that the dialogue in the film, ladybird, explains multitudes about each character and circumstance, rather than posing 1 dimensional scenes. Patrick McEvoy-Halston Blake Malcolm Hallberg Okay. But you did note that people here generally have not been in agreement with you -- you saw all the "great portrayal of the mother-daughter-dynamic," didn't you? I appreciate your experience of it, but myself I think that it did work to make the argument that whatever your mother may have done to you, you have to remember, she does love you. If I knew of someone in real life whose mother or father entered their room constantly while they were in it, without ever thinking a knock is something appropriate to your relationship, I would say there was significant hate and intention to harm there (think Nora Ephron's "My Blue Heaven"). There is no sense of this in this movie. It's just an aggravation. Something that would direct us to consider how scared her mother is of her growing up... or so her dad would counsel her, and we would oblige him in this. Think mostly on the poor mom. Erik B. Anderson Exposition dependency is only bad in action movies? Blake Malcolm Hallberg Patrick McEvoy-Halston sadly, this is how some mother-daughter relationships are. it was a great portrayal of their dynamic. does that make it morally correct? no. her mother was abused as a child and cross-generational abuse does exist, even if not to the previous extent. i don't think the ending was a "get out of jail free pass" for ladybird's mother, but more so an understanding of WHY her mother is the way she is, and forgiveness. ok, perhaps ladybird's mother DID deeply love her. characters in films are flawed, just as in real life. perhaps ladybird's mother has an extremely skewed view of "love". i think part of the point of the relationship in the film was that it didn't take a side. does art have to take a moral stance, or can it simply create a portrait for the audience to observe and thus make an informed decision post-viewing? Blake Malcolm Hallberg Erik B. Anderson no, that was just my example, but there are major dialogue differences between indie "dram-edies" and action movies. i really didn't think that ladybird used over-exposed dialogue. if anything, it was intentionally crafted to be more bare. Patrick McEvoy-Halston Blake Malcolm Hallberg Okay Blake. But you must note that your significant contextualizing her mother is something we're not supposed to be doing with the Weinsteins in the world. Everything you're saying would have been said about him just months ago, if accusations had surfaced then. Flawed, we're all flawed creatures. We must understand him, what he'd been through. We must forgive him. In the meantime a hundred abused women would still be waiting wondering when time would come to maybe actually more think on them; what they'd been through. Erik B. Anderson We get it. You disagree. Over and over. You're like my nagging mother. Id like to move on now. Please reply to the substantial things Patrick is saying or move on yourself. Good night. Blake Malcolm Hallberg Erik B. Anderson hey, haha, don't lose your temper. we're just having a debate about a film lol. i, personally, have enjoyed reading other people's thoughts on the movie. but i still maintain my position. sorry you're upset by that. Blake Malcolm Hallberg Patrick McEvoy-Halston i'm not saying that i, the viewer, am supposed to empathize with ladybird's mother. i'm just saying that not all films must convey a firm moral bias. like i said, it's a portrait and it's up to the viewer to infer their own opinion. i don't think the way ladybird's mother treated her was acceptable. i see your point, especially about the ending. however, i took it more as an acknowledgement of who her mother is as a person. to understand someone is not to justify their negative actions. anyway, i appreciate the debate and the points you're making. Mark Schaffer Write what you know. Blake Malcolm Hallberg i think those of us with “mommy issues” related deeply to this film. i’ve never seen a film portray a more accurate depiction of this particular dynamic. it was refreshing to see the true beauty AND ugliness of it, sparing no one. the characters are flawed and real. the deadpan delivery of dialogue gave it charm. i liked how nothing was over-explained or over-done. it was like a portrait. it hit me pretty hard and i ended up crying, embarrassed when the lights came up Haha. Anthony Salvatore I absolutely loved it, I do wish it was just a little bit longer though. I found myself really wanting to know what happened next for the characters, I guess that’s the sign of a great picture. I felt the same way with Three Billboards, I wanted more.